Congratulations to Harry, our Steve Wallen Swim School swimmer of the month for July. At 60 years young, Harry competed in and completed his first IRONMAN triathlon last month. This grueling race consists of a 2.4 mile swim race, 112 mile bike race, and 26.2 mile marathon run. Harry has always been a great cyclist and runner, yet recently started training and taking private competitive swim lessons in order to compete in an IRONMAN triathlon. 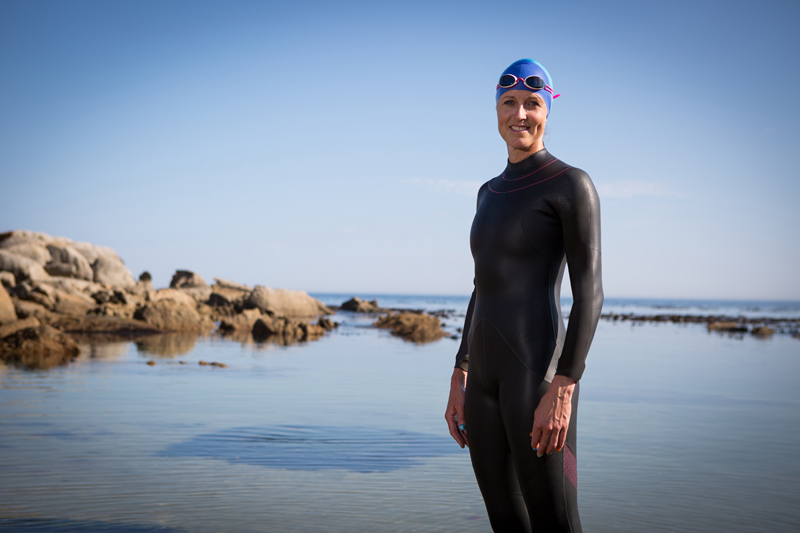 Harry has been a cyclist and a runner all of his life, but needed to improve his swimming skills in order to successfully compete in his first IRONMAN triathlon. 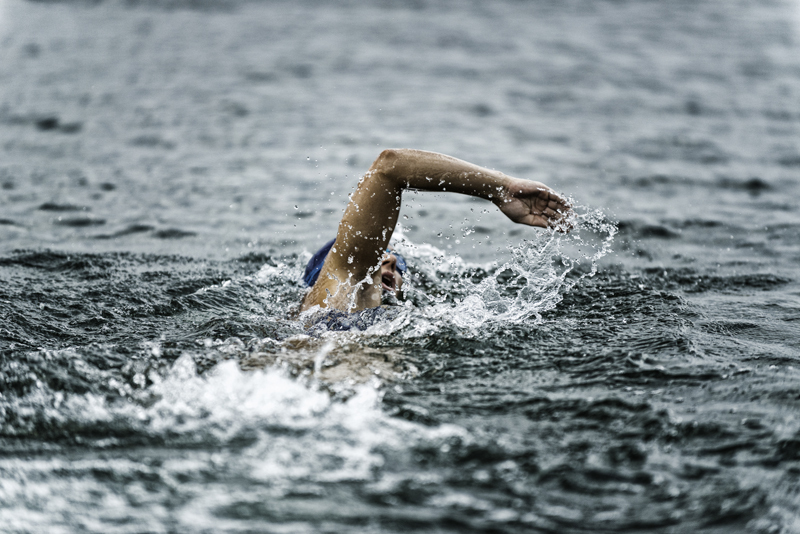 He started taking private swim lessons and underwater video analysis classes at Steve Wallen Swim School in order to improve his stroke technique and efficiency. Over the last 6 months, Harry’s freestyle stroke has made tremendous improvements. He has always enjoyed the water and learned to swim at a young age to be water safe, but only recently decided to start swimming competitively. 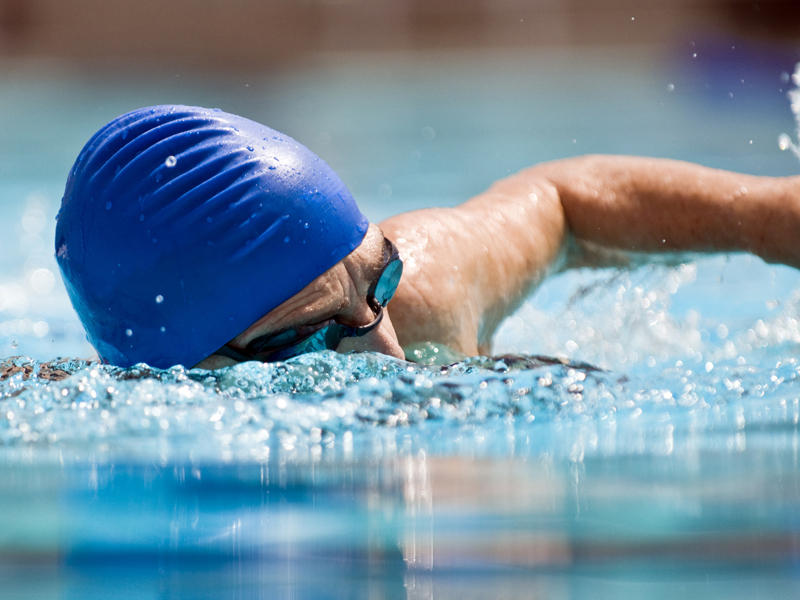 Our swim lessons for triathletes helped Harry improve stroke technique and efficiency. He always had the endurance from cycling and running, but in the beginning would be exhausted after swimming a couple laps freestyle. Our competitive swim lessons helped take Harry to the next level! Flexibility and resistance training is very important for the success of competitive swimmers and triathletes. Flexibility and lightweight resistance training exercises can help improve performance as well as help avoid injuries. Let one of our experienced swim coaches design a strength and flexibility regimen for you today to help keep you at the top of your game! Steve Wallen Swim School offers private swim lessons for adults in our state-of-the-art indoor, heated pool facility. We offer classes for learn to swim students to competitive swimmers and triathletes. No matter your skill level, our swim coaches can design a program to meet your specific need. Private swim lessons provide the opportunity for one-on-one attention with highly trained, adult swim instructors. Each student will receive personal attention and maximum benefit. Many athletes come to Steve Wallen Swim School that have always been strong cyclists and runners, and want us to help make them a triathlete. This is a very common scenario as cycling and running typically come more natural to athletes. This is where we come in. 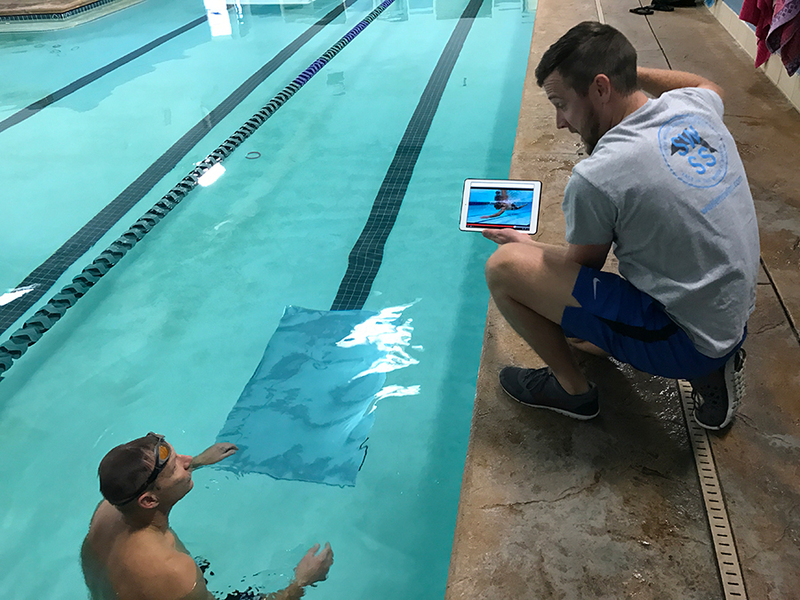 Our swim instructors know exactly where you are coming from, and know exactly what needs to be done to help you achieve your goals. Harry’s daughter is a professional triathlete, and he has always dreamed of the day he could participate in the same event with her. What a great accomplishment! Way to go, Harry! Another champion swimmer at SWSS! This entry was posted in El Dorado Hills, Folsom, Granite Bay, Sacramento, Steve Wallen Swim School, Swim Lessons, Swimmer of the Month, Swimming Lessons. Bookmark the permalink.